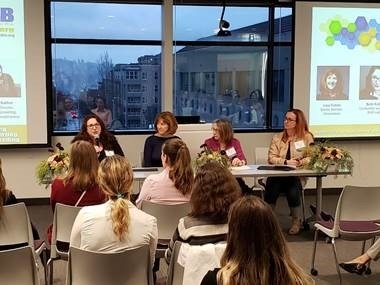 In honor of Women’s History Month, Women In Bio - Seattle hosted, “Rockstar Women,” on March 25, 2019. Our event featured three highly engaging panelists: Lisa Cohen, Senior Advisor at Uncommon; Beth Kolko, Co-Founder and CEO of Shift Labs; and Cathy Melfi, Vice President of Quality and Regulatory and Chief Regulatory Officer of Omeros. 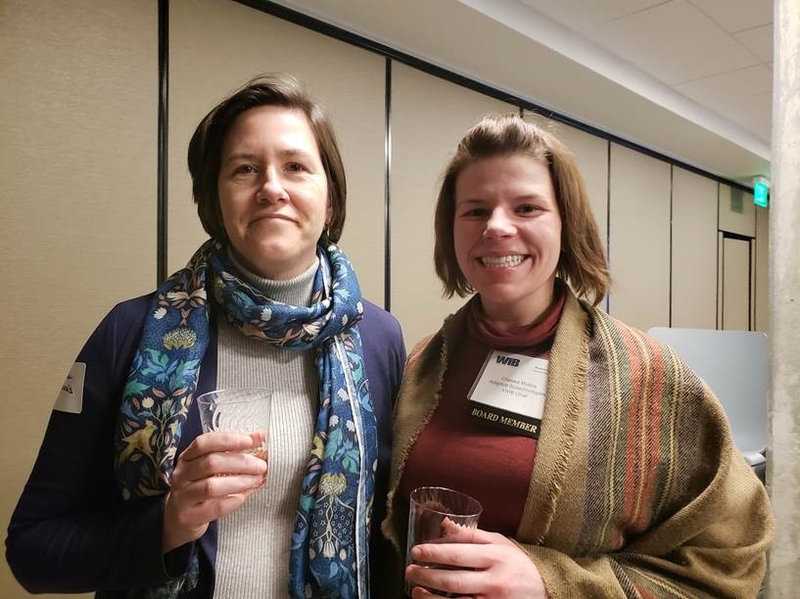 The lively conversation was moderated by Blythe Sather, Senior Director of T cell engineering at Lyell Immunopharma and former Seattle WIB Treasurer. We were proud to showcase these rockstars in the local life science scene. 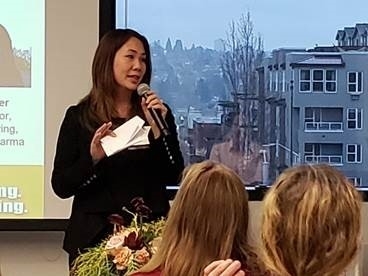 Sophia Siu, WIB Seattle Chapter Vice Chair, introducing the panelists and sharing information about WIB-Seattle membership. We were privileged to have these all-stars for a wonderful evening where they shared their successful career journeys and personal reflections. Common themes in the discussion included the importance of building a supportive network, how to approach experts for help and mentorship, and how to take the fear out of decision making. Another surprising commonality amongst our panelists was their non-scientific academic beginnings - English, Journalism, and Economics - and how they didn’t let this stop them from moving into scientific or engineering areas to make amazing things happen. The panelists talked about taking on roles despite being uncertain that they were completely qualified quite yet, and encouraged others to embrace the challenge and opportunity to grow. Panelists (left to right; Beth Kolko, Shift Labs ; Lisa Cohen, Uncommon; Cathy Melfi, Omeros ; Blythe Sather, Lyell Immunopharma and past Seattle WIB Treasurer. We thank all the panelists for their time out of their incredibly busy schedules on a rainy night, and we thank the University of Washington, CoMotion Labs HQ, for hosting this event. Young Women In Bio - Seattle hosted “What’s Inside Our Blood? 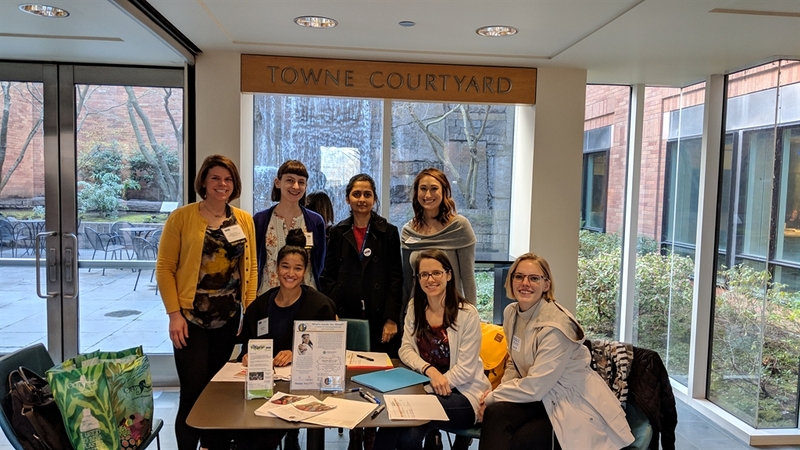 A Hands-On Hematopoiesis Lab” at the Fred Hutchinson Cancer Research Institute (FHCRC) on March 13th, 2019. 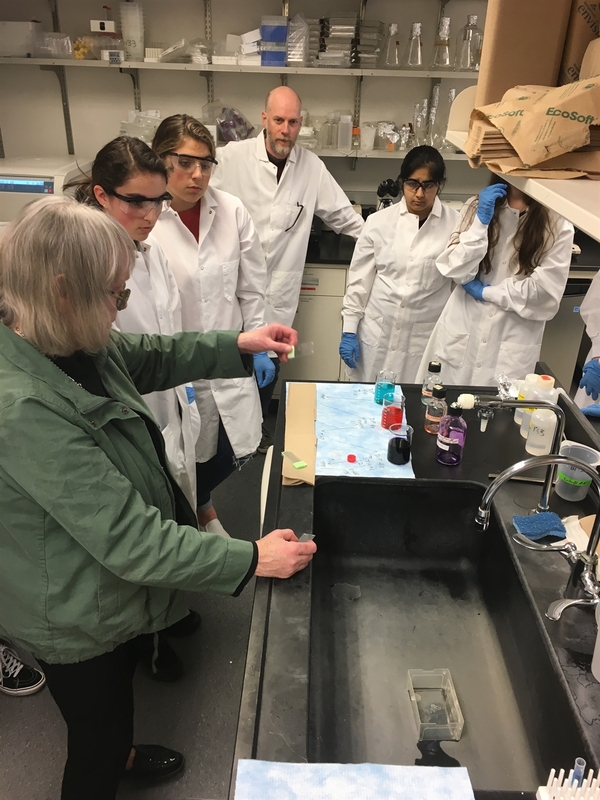 Ten students from high schools around the Seattle area attended to learn about the components of our blood and how those components are changed in a cancerous state. Dr. Beverly Torok-Storb (FHCRC, Clinical Research Division) first introduced students to the concept of stem cells, and their immense potential for regeneration therapy. She then walked students through the typical cell types present in blood, and how leukemia affects those cells. While discussing internships for high school students at the FHCRC, Dr. Torok-Storb emphasized the importance of diversity in the biomedical workforce: utilizing everyone’s unique perspective means that together we will be able to generate creative research advances even faster. After learning the necessary background information, students moved into the laboratory and donned lab coats, gloves, and goggles. The first goal of the lab activity was to learn how to make a whole-blood smear on a slide, and image that smear by microscopy after staining. The majority of cells in these smears were red blood cells, but after properly centrifuging their samples of dog blood in a sugar gradient, students were able to isolate lymphocytes and stain smears of concentrated immune cells present in the blood samples. Dr. Torok-Storb connected observations students made based on their slides, like the presence or absence of lymphocytes in whole-blood smears, to the clinical manifestations of leukemia discussed in her talk. The event ended with a tour of the shared resources facility in the FHCRC, where students observed scientists at work performing electron microscopy, flow cytometry, and genomics. Katie Smolnycki (left), WIB-Seattle Chair kicking off the workshop and introducing Women Catalysts leaders, Jenna Starkey (center) and Courtney Irvin (right). 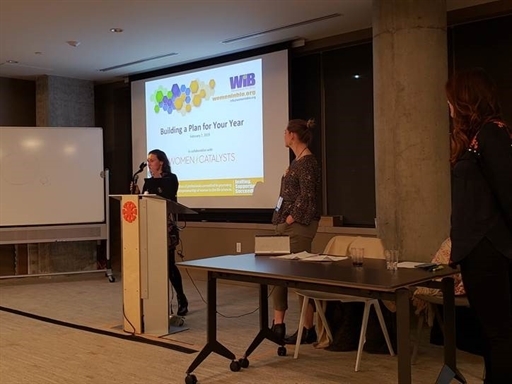 On February 7, 2019, the WIB-Seattle chapter started the new year with a goal setting event - “Building a Plan for Your Year”. WIB-Seattle partnered with Women Catalysts for this fun-filled workshop that was led by their Seattle team, Courtney Irvin and Jenna Starkey. The workshop consisted of personal writing goals, group discussions, and self reflection. The bustling room was full of supportive women wanting to create change with workshop exercises that aiding us in finding fulfillment by documenting what is most important in the now. The session concluded with everyone sharing what we learned and celebrating the present. Workshop attendees, Melinda Duplessis (left) and Chelsea Mullins (right), during networking time. We thank Alexandria Real Estate Equities, Inc. for donating the space for this event and Jenna Starkey and Courtney Irvin for sponsoring and leading the workshop.